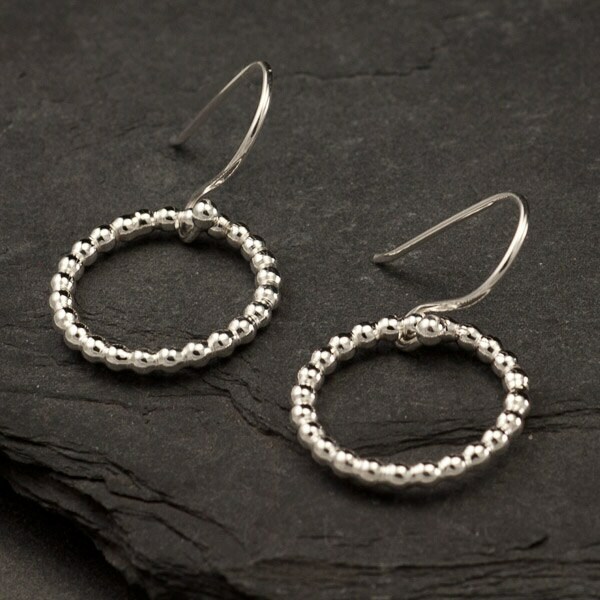 These sterling silver dangle hoop earrings are accentuated with a simple dotted design. 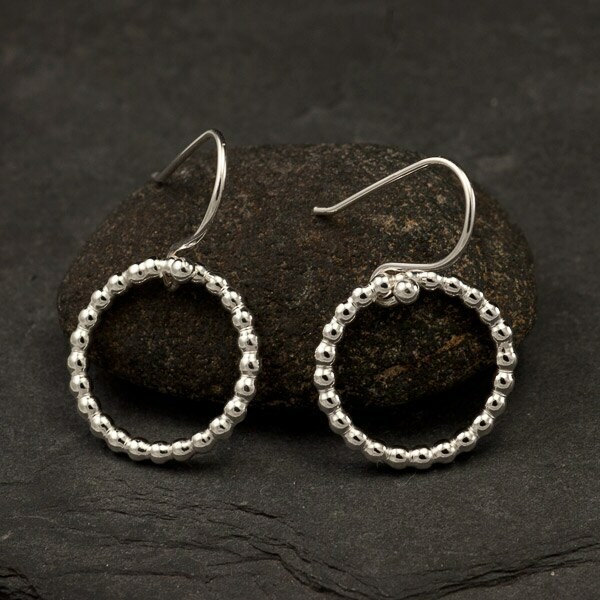 They are surprisingly lightweight & dangle beautifully from the ear. 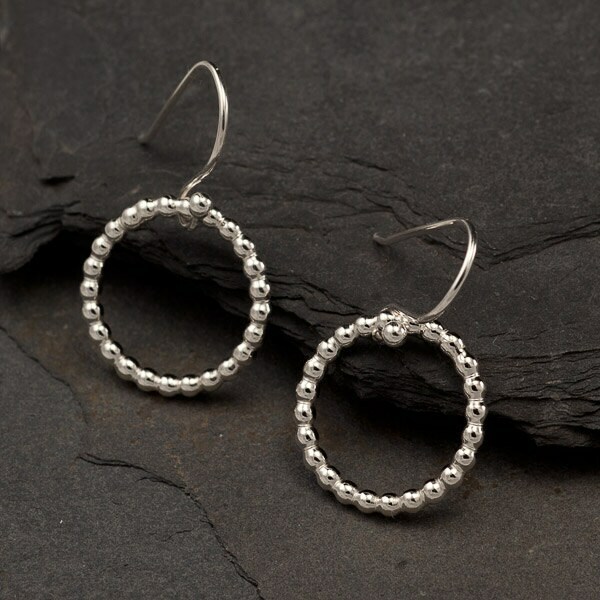 Sure to be your new favorite hoops! Ear-wires are made of high quality Argentium sterling silver, so even people who have allergic reactions to the copper in standard sterling silver can comfortably wear these. I am so happy with these beautiful earrings and I bought the matching ring. So many compliments received. I like that you can dress the earrings up or go casual. This vendor is trustworthy, efficient and generous. 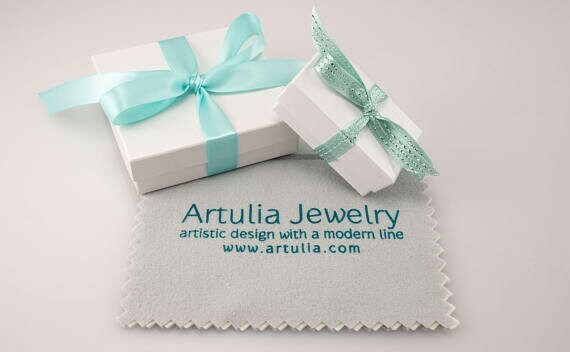 I received a pair of beveled studs as a gift from the vendor with my Christmas order which was a wonderful surprise. I’m so pleased with my earrings. Understated, light, airy, shiny - perfect for summer! Thank you. These earrings are really beautiful. 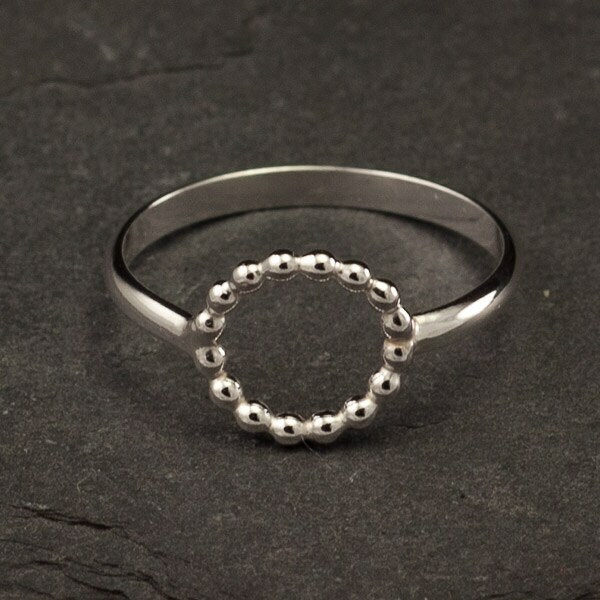 They are shiny and well made, and can be worn with both dressy and casual clothing. I highly recommend them.